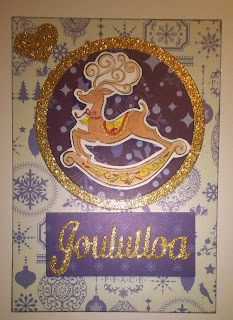 Jag deltar med mitt kort i följande utmaningar: Card Mania (Christmas), Bunny Zoe (Sparkle), QKR Stampede (Use some glitter), ABC (W is for Wishes), Sparkles Christmas (Die cuts), Dies R Us (Christmas) och Come and Get It (Merry Christmas). Very pretty! Thanks for joining us at Dies R Us for our Christmas challenge! Oh so pretty Jessi! Thanks so much for playing in our ‘CHRISTMAS’ challenge at Dies R Us! Please come back again soon! Very pretty card. Love the nice sparkle. This is terrific, Jessi! Love the gold glitter. Thanks so much for playing along in our "Add Some Glitter" challenge at QKR Stampede this week. Good luck. 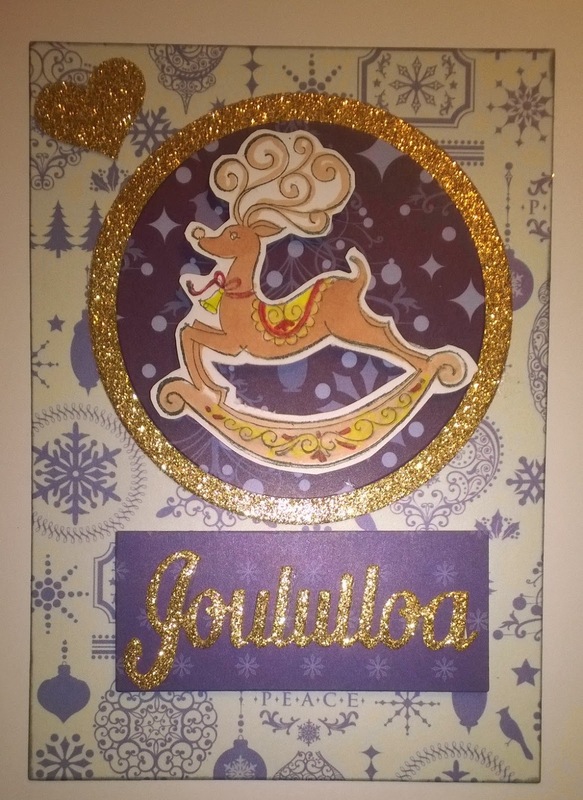 A lovely card - I like the colours you have used. Thank you for joining us at Sparkles Christmas Challenge. Lovely card with a super die-cut, thanks for playing along at Sparkles. Lovely card with fantastic background paper. Love the sparkles on your creation.